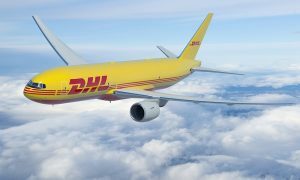 DHL today announced the launch of a new direct daily flight between Ibn Battouta airport in Tangier, Morocco to DHL’s global hub in Leipzig, Germany, connecting northern Morocco’s high-growth economic zones to Europe. The service provides customers in Morocco with a reduction in delivery time by 4 hours and an extended pickup time limit by up to 3 hours. The Tangier-Leipzig route via Alicante, Spain utilizes a B737 jet with a 15-ton capacity for five weekly flights. As DHL’s second dedicated air service for Morocco, the route compliments the current six times a week flight from Casablanca to Europe via Charles de Gaulle Airport, Paris with a B757 and Airbus aircraft daily. 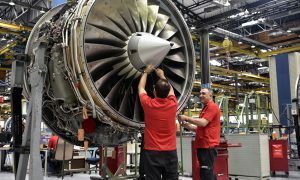 “Northern Morocco is seeing massive economic growth as a result of heavy government investment in industries ranging from automotive to textiles, with Morocco’s automotive exports growing around 34% in 2014 — and driving growth in GDP from 2.5% in 2014 to 4.5% in Q3 2015 — as a result of financial and trade initiatives in clusters like the Tangier Automotive City. 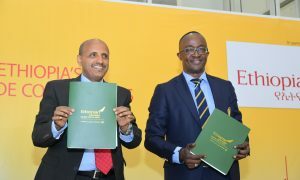 DHL itself has seen double-digit growth in trade volumes from Morocco to Europe, largely caused by rapid upscaling of automotive production from northern Morocco to around 400 thousand vehicles per annum,” said Faysal El Hajjami, Vice President and Maghreb Area Manager, DHL Express.